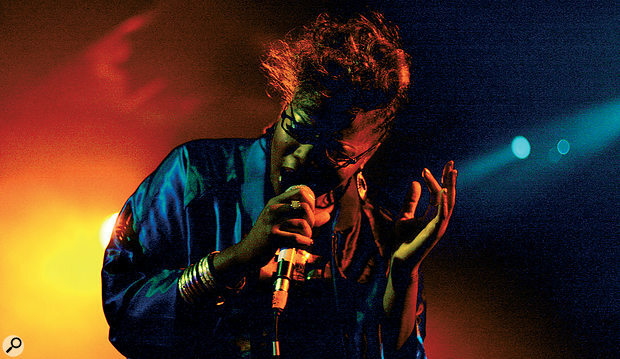 It took rapper Speech Debelle years to find a producer who could bring to life the sounds in her head. The answer, as Wayne Bennett discovered, was to record her music as if it were a folk album. After tearing open the winner's envelope at September's Mercury Prize ceremony in London, compere Jools Holland paused and said "This is a surprise!” Doutless Holland wasn't the only person in the room to have been taken aback that a record shifting only 4000 copies to date had beaten bookies' favourites Florence And The Machine, La Roux and Kasabian. However, there was one young lady in the room who was not surprised in the least. During the days running up to the ceremony, 26‑year‑old South London hip‑hop artist Speech Debelle, aka Corynne Elliott, had been defiantly assuring journalists that British music's most prestigious music award was already in the bag. For those close to her, this strong self‑belief was certainly nothing new. Wayne 'Lotek' Bennett produced most of Speech Therapy. 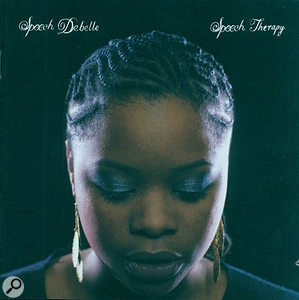 Speech Debelle actually signed to Big Dada Records around five years ago after impressing head honcho Will Ashton with a demo, but it wasn't until she met producer Wayne Bennett — also known as Wayne Lotek — in 2006 that she came across the right formula for her tunes. 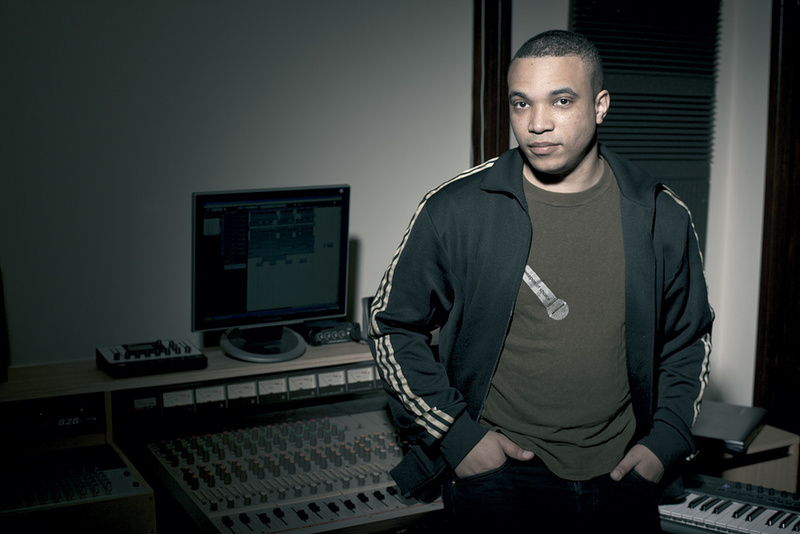 By that time, Bennett had become a key figure at the burgeoning British hip‑hop label, making up one third of versatile act Lotek Hi‑Fi as well as producing Roots Manuva. This approach fitted perfectly with Speech's early vision of making a "hip‑hop Tracy Chapman record”. By the time they met, Wayne Bennett had been living in Melbourne for a couple of years, but he was over in London visiting family for a few weeks. With the help of his Dad's laptop, a copy of Cubase, a shuffled drum sample and his brother Tim playing bass and guitar, they soon had a basic arrangement for album opener, 'Searching'. 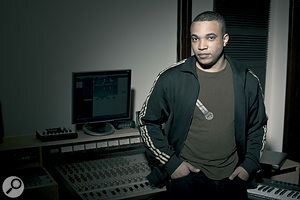 The backdrop of the track's soothing, laid‑back acoustic guitar melody twinned with Speech's intimate and almost fragile rapping would form the blueprint for the rest of the recordings. 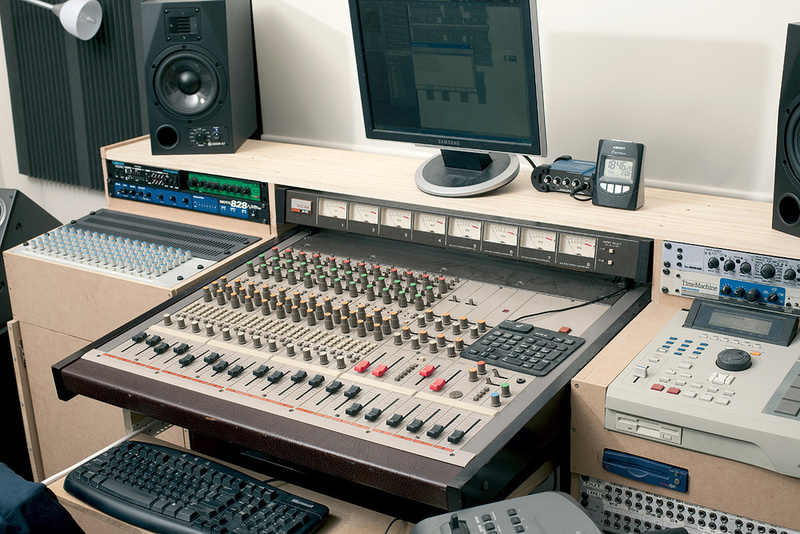 Wayne Bennett has since moved from the house where the album was recorded, but retains much of the equipment, including the Tascam mixer and eight‑track reel‑to‑reel machine. When Wayne Bennett returned Down Under, he had no idea that Big Dada were going to come up with the kind of budget required to send Speech Debelle halfway around the world to record with him. But when he did get the call, he had a little problem. Since relocating from England a short time before and selling off the gear from Plan B, his Birmingham studio, Bennett hadn't yet had a chance to re‑equip. In the end, Wayne Bennett managed to assemble the following gear to lay down the majority of Speech Therapy across a six‑week period during November and December 2006: his PC laptop with Cubase and Native Instruments' Komplete 3, an M‑Audio Firewire interface, a Fostex 16‑track digital recorder, a Joemeek VC3Q preamp, AKG C414 and Jeanne Audio JA87F microphones, a Shure drum microphone set, and a pair of Genelec 8020A speakers. To mix the album, he later bought a Tascam 38 half‑inch eight‑track tape machine and a Tascam M50 mixing desk from eBay. 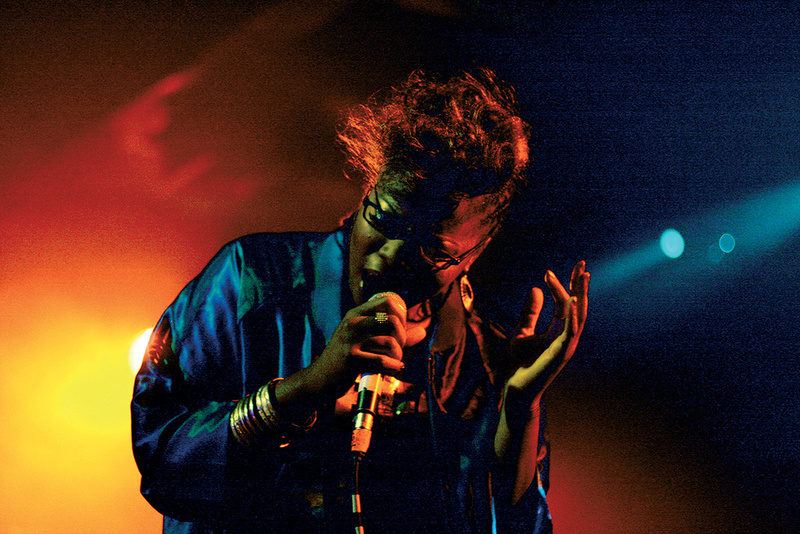 Once Speech Debelle arrived in Melbourne, Wayne Bennett decided to phone around a selection of Melbourne session guys with the initial proviso of simply getting them down to meet Speech and jam along with her rhymes while he kept his finger on the Record button. Speech would let Wayne know when the feel and the melody matched what had musically been growing inside her head for so long. When it came to recording locations, improvisation was certainly key. Various rooms in Wayne's Melbourne house were hastily soundproofed to lay down the majority of the electric, acoustic and bass guitars, strings, keyboards and Speech's initial guide vocal tracks. Most instruments were recorded separately, although on a few tracks, cello and guitar were recorded together. "She recorded the vocals in the spare room of my house. We had two two‑seater sofas, and I turned them on their ends and put them together to make a little cubicle and then covered that with duvets and pillows, had the microphone behind that and that was the vocal booth!” laughs Wayne. "It was pretty sketchy! The strings were recorded in the kitchen. We've moved from where we recorded it now, but the previous place we were in had this massive kitchen with polished wood floors, so I stuck the violin player in there. We didn't actually put any extra reverb on it. The reverb on the record is just the sound of my kitchen. In terms of mic placement, Bennett just went with what he felt sounded right and what would fit the atmospherics of the album. The drums were recorded in situ by Wayne at the drummers' own studios or houses. The producer simply travelled across town with his Fostex recorder and the Shure drum mic set he'd borrowed from a friend and asked either Choi or Mike Ensor to play along to the backing tracks he had thus far assembled. Speech Debelle headed back to London after six weeks. Bennett continued working on mixing the backing tracks, while Speech herself would go on to record three further tracks in the capital, two with Tuung's Mike Lindsay and one with multi‑instrumentalist band member Ciaran 'Dreadkey' Fahy. All the vocals — aside from the title track, a 'magic' emotional take which Speech refused to revisit — were re‑recorded at Alaska Studios by Bob Earland once Wayne Bennett had completed the final tracks. Roots Manuva wrote and sang the chorus to 'Wheels In Motion', which was also laid down at Alaska. As was widely reported after Speech Debelle's Mercury win, the roots of Speech Therapy can be traced back to the difficult few years Speech spent living in hostels after falling out with her mother and leaving home. And it wasn't just the lyrics that were coming together at this time: the emotional feel that Debelle wanted to infuse into the music was also taking shape.